A team of Columbia Engineering researchers, led by Applied Physics Assistant Professor Nanfang Yu, has invented a method to control light propagating in confined pathways, or waveguides, with high efficiency by using nano-antennas. 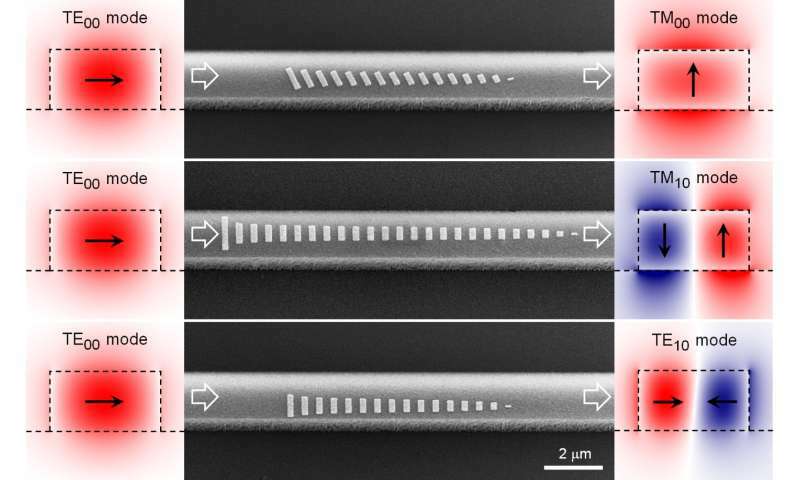 To demonstrate this technique, they built photonic integrated devices that not only had record-small footprints but were also able to maintain optimal performance over an unprecedented broad wavelength range. Next Post →← New website!